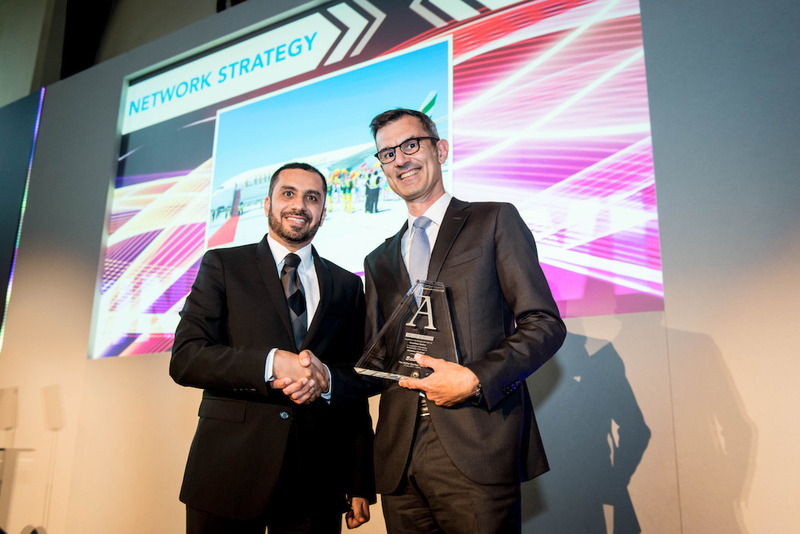 Emirates Airline has been awarded the inaugural Network Strategy award, at The Airline Strategy Awards run by the established air transport industry news and analysis provider Flight Airline Business. In its 15th year, The Airline Strategy Awards is a widely recognised and respected measure of industry leaders and players who are raising the bar in boardroom leadership, strategic thinking or innovation. The winners for the main award categories are selected by an independent panel of industry experts. The inaugural Network Strategy award recognises the management team that has demonstrated leadership in the design and implementation of leading-edge concepts and systems in the area of network planning and revenue management in an airline context. Network planning and revenue management are at the heart of an airline’s marketplace offering and profitability. Emirates currently serves 154 cities in 81 countries across six continents with its young and modern fleet of over 250 all-wide body aircraft. Comprising of mainly Airbus A380s and Boeing 777s, the airline’s fleet strategy and investments in young and modern aircraft, enables it to benefit from operational efficiencies and at the same time provide customers the best latest comforts and onboard experiences. Through its Dubai hub, Emirates offers convenient non-stop or one-stop connectivity across the globe, including to many cities which have not previously been well-served by direct international flight services. Emirates helps facilitate the flow of people and goods in a global marketplace, and contributes to the development of economies through the provision of high quality air transport links that are essential to tourism and trade. In 2016, the airline has so far added Clark, Cebu, YinChuan, and Zhengzhou to its global network, with each new city added increasing exponentially the number of city-pair combinations that Emirates can offer to its global customers.